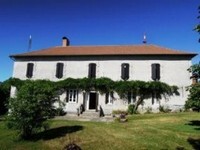 We have thousands of properties for sale all over France. But we've no property for sale in Maurs at the moment. And that's something we want to change. If you have a property to sell in Maurs (or nearby) then act now to get a 50% discount. Just place your advert in the normal way (Click here to place your advert). Then send us an email quoting "Maurs" and telling us that you you saw this offer. Maurs, or to give it its full title, Maura la Jolie, is a gorgeous market town located in the Cantal department of volcanic central France. With a wealth of history and many heritage buildings to see about town, Maurs is also a delightful place to live. Maurs is a vibrant little town, and as such makes an excellent base for a holiday in the Cantal, or as a place to put down new roots in France. The town has a traditional, colourful street market every Thursday, and this is backed up by a supermarket, a good selection of smaller shops, as well as restaurants and bars. All services are available, and the town also offers schools for families making a permanent move to the area. Various fetes and festivals are held throughout the year, celebrating local culture and specialities. Classified as a small town of character, Maurs offers history and heritage in spades. Its circular form, with the town winding around the central church, is typically mediaeval, and a delight to explore. Among the many historic buildings the most important is the Church of Saint Sulpice, also known as Saint Cessaire. However, any walk around town reveals lovely mediaeval houses, streets and other fascinating features. The town dates back to 941 AD, which puts it among the oldest towns in the area. The Cantal is one of France's hidden secrets, with a lower number of tourists than many other departments. Yet, it has much to offer. The fertile countryside is glorious, and has numerous opportunities for enjoying the great outdoors whether you are a walker, a cyclist or a horse rider. Rivers and lakes provide locations for swimming, fishing and water sports. You can take all day treks into the Auvergne mountains if you're feeling really energetic! There's plenty of local heritage around too. Taking in the sights might include a trip to the nearby towns of St Cere or Figeac, both also mediaeval and bursting with character. Rocamadour is also within reach, and simply stunning, with its abbey and pilgrim history. Rodez and Brive Vallée de la Dordogne are the nearest airports, with the TGV going to Rodez, but if you want a greater choice of flights and travelling times, Toulouse is only a couple of hours from Maurs. If you're driving (and it is around 880 kilometres from Calais port) the town is found beside the N122 non toll motorway. Maurs is such a lovely mediaeval town that you'd expect property to be expensive or difficult to find or both! However, because the Cantal is a lesser known destination for property hunters, it's possible to pick up a real bargain in or near to the town. The prices could pleasantly surprise you! Do you know Maurs better than we do? Do you have photos of Maurs? Maurs is in southern-central France, in the south-west of the department of Cantal. Access: By air: Fly to Rodez, Brive or Toulouse. By rail: You can take a TGV to either Rodez or Toulouse. By road: The town lies just off the N122 non toll motorway. Economy: Maurs's economy includes agriculture, commerce and tourism. Interesting fact: Maurs is also known as Maurs la Jolie, which translates to "Maurs the Pretty".